Even though yoga makes us feel good, most people find it difficult to practice consistently. 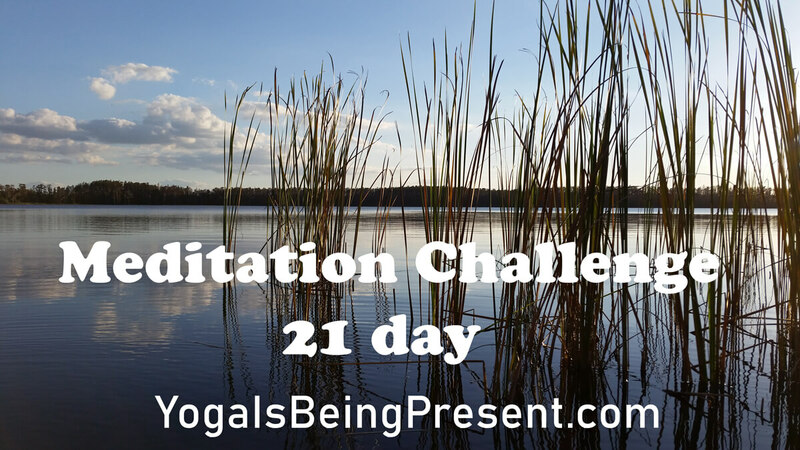 This meditation challenge is an invitation to practice guided meditation every day for 21 days. This is one way to help you establish a consistent practice to deepen your meditation practice and to receive the many benefits of meditating. Participating in this challenge is FREE. Just sign up for the challenge so that every day you can receive a reminder email with a link to a guided meditation. Simple. You practice guided by the recording and then you are ready for your day. If you wish, you can keep a journal to keep track of questions, insights, benefits and obstacles you are noticing. If you have questions or comments I invite you to post them on the website. I will be glad to post suggestions and answers to your questions so that you and other participants can benefit. Next PostNext Meditation Challenge: Day 1 What is Meditation?